Longtime Carnival Corp. executive Howard Frank was named chairman of Costa Cruises, succeeding Pier Luigi Foschi in the role. Both Frank and Foschi retired last year from Carnival Corp. positions. Frank had been vice chairman and chief operating officer. Foschi, in addition to chairing Costa was chairman of Carnival Asia. Carnival said that in his new role, Frank will support Costa CEO Michael Thamm. When he stepped down, Frank was named to serve as special adviser to the CEO and to the chairman of Carnival Corp.
Frank is also chair of the executive committee of CLIA. 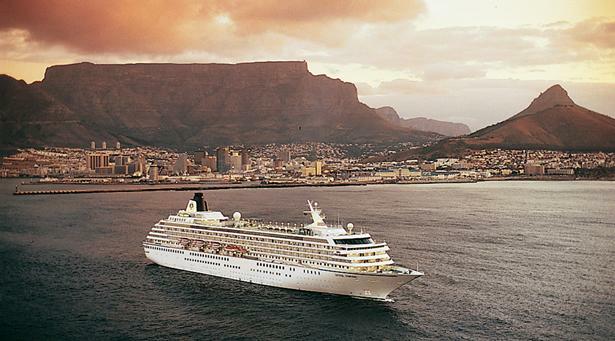 Crystal Cruises said it would raise fares on 94% of its 2014, 2015 and 2016 cruises on March 1, reflecting strong demand. Under its “Book Now” program, the luxury line assesses its fares every 60 days and raises them on itineraries that are selling sufficiently well to support it. Crystal said fares would increase on more than 120 cruises for the next “Book Now” period ending April 30. The line said 2014 is already 78% booked, and 2015 bookings are 42% ahead of this same time last year for 2014. Royal Caribbean’s Explorer of the Seas returned to its home port in Bayonne, N.J., on Wednesday afternoon following a widespread outbreak of gastrointestinal illness on the 3,000-passenger ship. The U.S. Centers for Disease Control reported that 629 passengers, more than 20% of the passengers onboard, were affected by the illness over the course of the cruise. Also, 54 crew members were reported ill. The last time a cruise ship had as many sick people was in 2006, when 536 passengers and 143 crew members from the Carnival Liberty were reported ill, according to CDC records. Royal Caribbean shortened the 10-day cruise to eight days to allow for extra sanitation measures before the next cruise on Friday. “Guests scheduled for the next cruise on Explorer of the Seas can be confident that all possible measures will have been taken to prevent further problems,” a Royal Caribbean statement said. Royal Caribbean said it plans a thorough sanitizing of the entire ship. Officials from the U.S. Centers for Disease Control said they won’t know if it was a norovirus outbreak until later this week. Passengers on the stricken cruise will receive a 50% refund of their cruise fare and a 50% future cruise credit. Guests who had to be confined to staterooms will be credited with one future cruise day for each day of confinement. Royal Caribbean said it will also reimburse airline change fees and hotel accommodations for guests whose travel home was inconvenienced by the change of travel plans.